The FR Mechanics Hybrid is a versatile and comfortable FR work glove, which offers an excellent combination of dexterity, comfort, durability and protection. 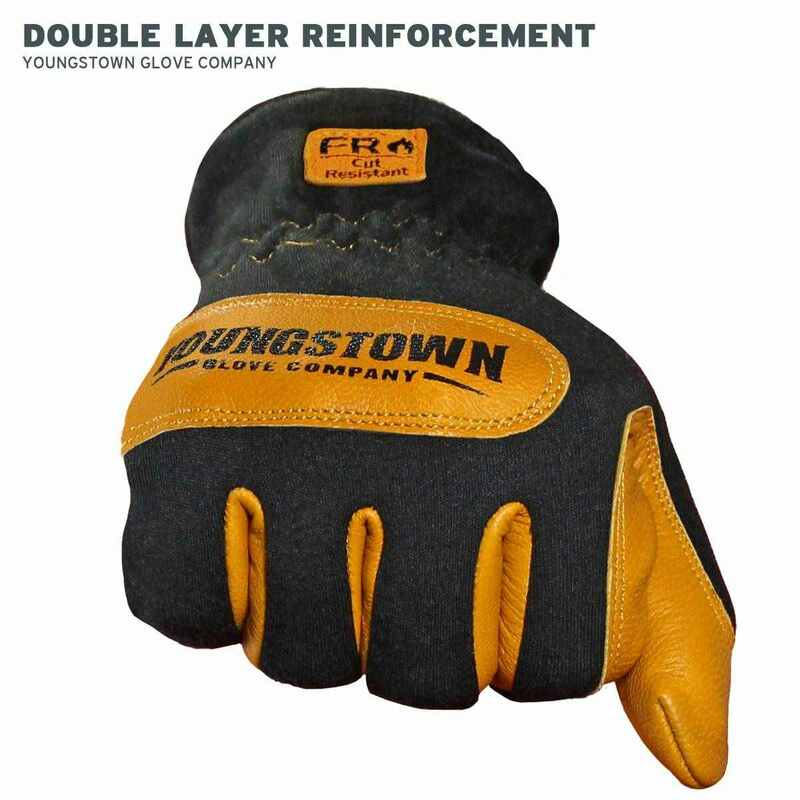 The high-quality goatskin palm is lined with 100% Kevlar fiber by DuPont to enhance the FR properties and provide cut-resistance. 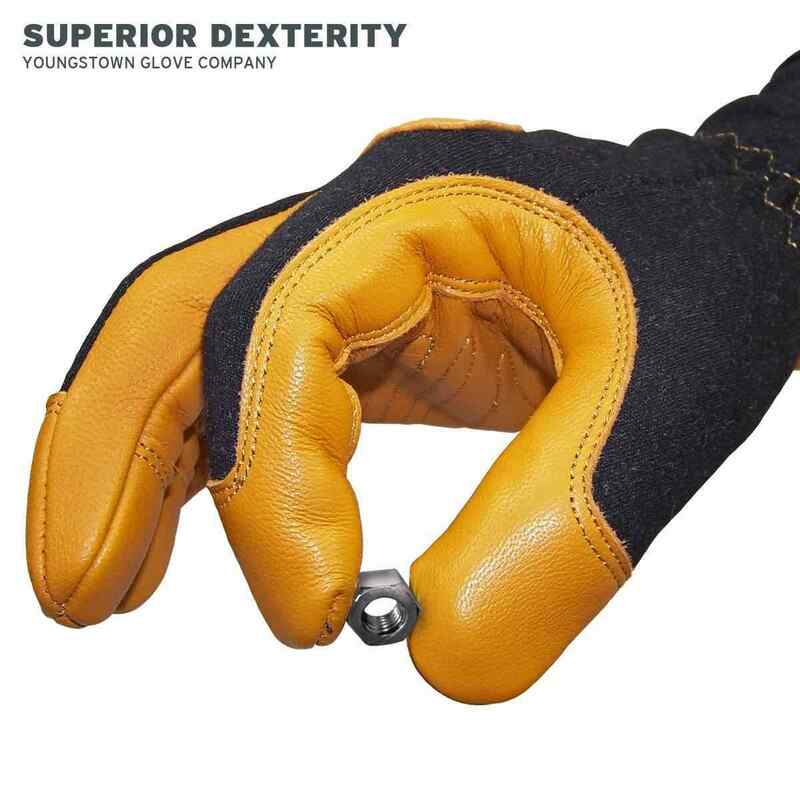 The top of the glove is made with Nomex fiber by DuPont and provides excellent breathability in addition to its flame resistant properties. 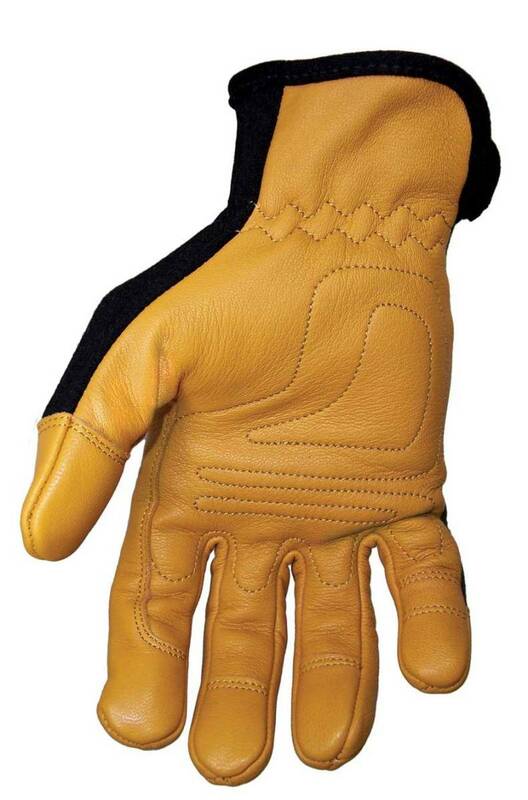 The entire glove is sewn into an ergonomic, 3D pattern for unmatched comfort and dexterity. Will not drip, melt or ignite when exposed to flames or sparks. The result is increased efficiency, productivity and safety for workers, while in compliance with the NFPA 70e-2015 standard and OSHA 29 CFR Part 1926. Arc Rating: 12 cal/cm square according to ASTM F2675/F2675M-13. Cut Resistant: ANSI/ISEA 105 Level A2 (top of hand) & A4 (palm). Puncture Resistant: ANSI/ISEA 105:2011 Level 4 (palm). 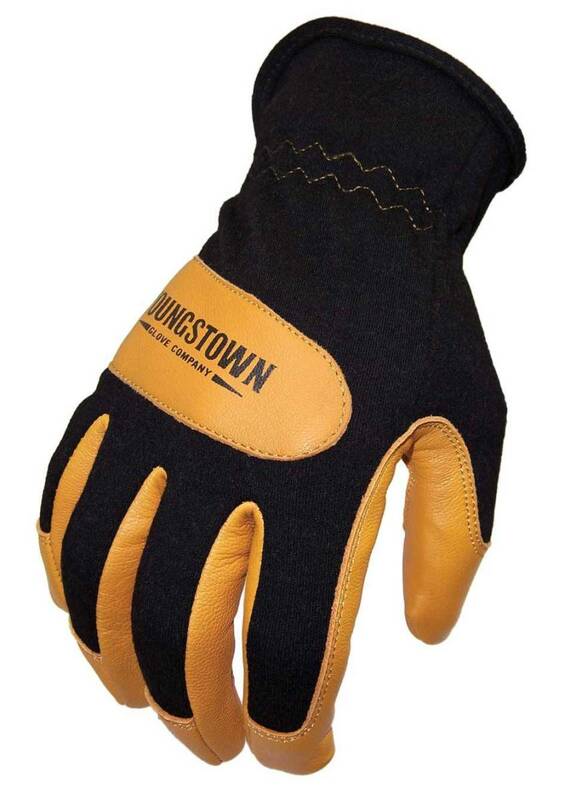 Flame Resistant: exceeds standards according to ASTM F2302 and D6413. 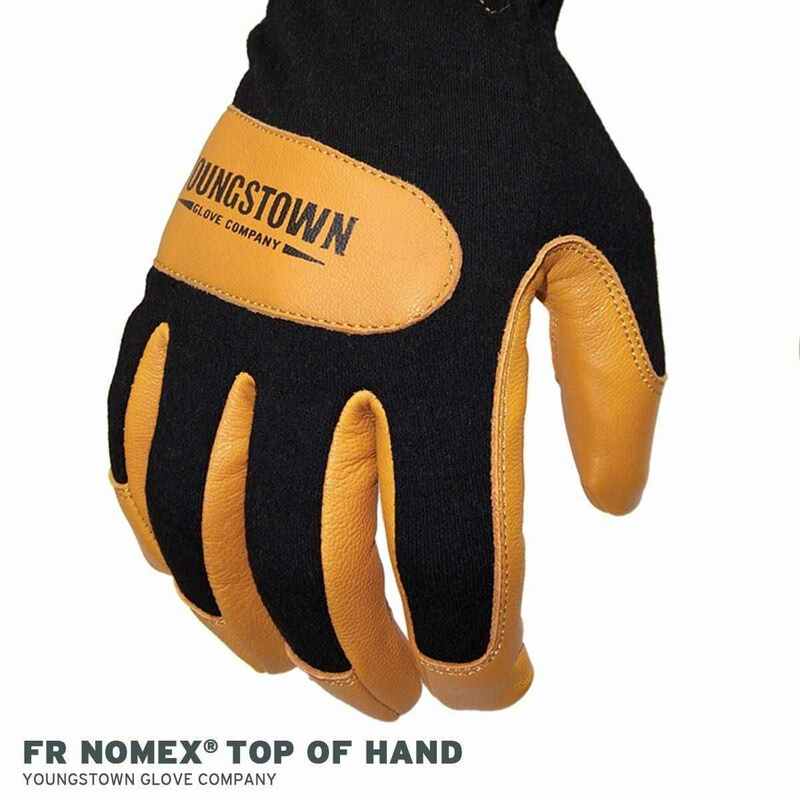 Top of hand made with FR Nomex fiber. 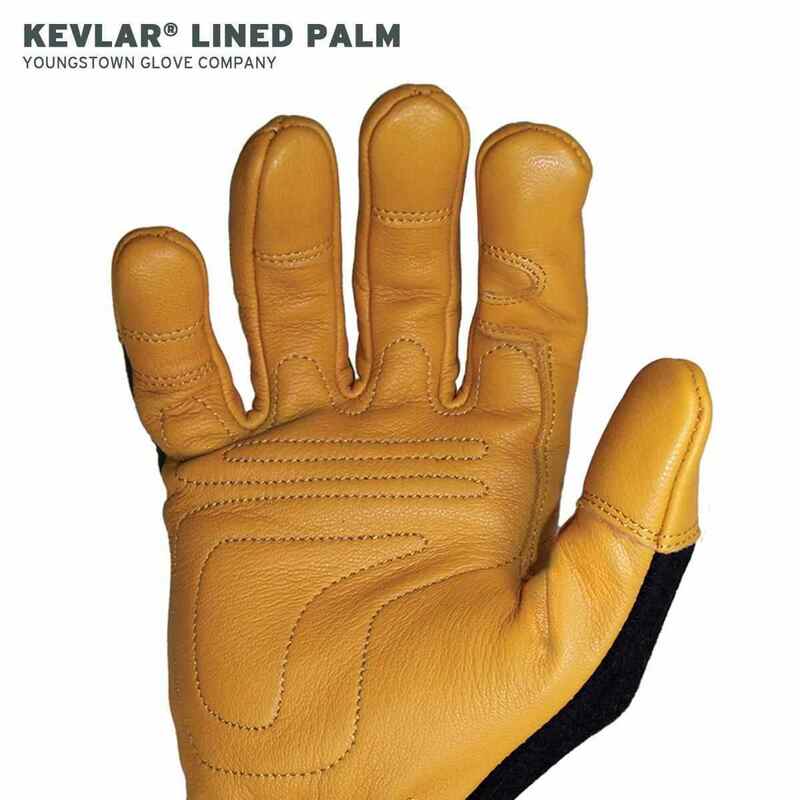 Palm made with 18oz/yd high quality goat grain leather and lined by Kevlar fiber by DuPont. Superior comfort, dexterity, efficiency and safety. Ergonomic, 3D glove pattern form-fits to hand. Palm is 5x tougher than traditional driver gloves. Compliant: NFPA 70e-2015 Standard/OSHA 29 CFR Part 1926.